This delightful chocolate brownie cheesecake recipe combines chocolate with cheesecake in three different ways. 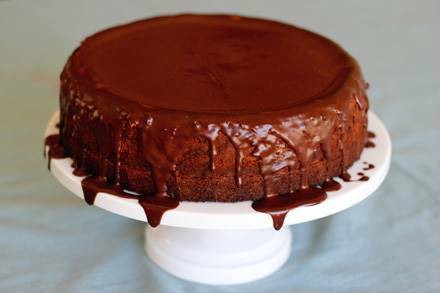 This recipe is a chocolate lover’s dessert paradise. 1. Preheat oven to 350° F. Grease 9-inch springform pan. * In a large bowl, stir together the melted butter, the sugar and the vanilla extract. * Add the 2 eggs, stirring until well blended. * Stir in the flour, cocoa, baking powder and salt. Blend well. * Spread batter into prepared springform pan. * Bake 25 to 30 minutes or until brownie begins to pull away from the side of the pan. * Beat cream cheese and sugar in a large bowl until smooth. * Beat in the eggs (one at a time). * Slowly add the heavy cream, vanilla and salt, beating until well blended. 4. Place the dark chocolate chips into a large microwave-safe bowl. 5. Microwave at MEDIUM power (50%) for 1 1/2 minutes; stir. If needed, microwave at MEDIUM power an additional 15 seconds at a time, stirring after each time, until the chocolate is smooth and melted when stirred. 6. Gradually blend melted chocolate into cheesecake batter. 7. Immediately after removing the brownie crust from the oven, evenly spoon the cheesecake mixture over the brownie. 8. Return the pan to the oven and continue baking 45 to 50 minutes or until center is almost set (the center should be slightly wiggly). 9. 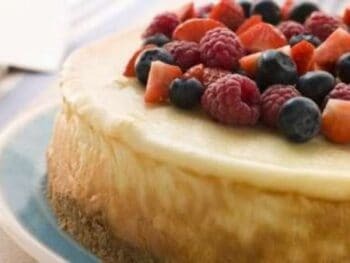 Remove the cheesecake from the oven and place on a wire rack (do NOT remove from springform pan). 10. 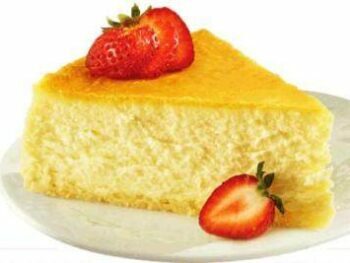 With a sharp knife, loosen cake from side of pan. Cool to room temperature. 11. Remove side of pan. 12. 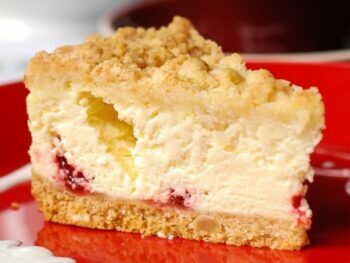 Cover cheesecake and refrigerate several hours until cold. * Place the chocolate chips into a small bowl. * Heat the cream in a small saucepan over medium heat. Bring just to a boil, watching very carefully. DO NOT let the cream boil over. * When the cream has come to a boil, pour over the chocolate chips and whisk until smooth. Let mixture cool for about 5 minutes, or until just slightly warm. 14. Pour the ganache evenly over the top of the cheesecake. Makes 12 servings.